Cover-up at Guantánamo: What Does NCIS Have to Hide? This is a story about the last few weeks in the life of a man who ended up in Guantanamo where the physical torture was bad enough, and the emotional torture was worse. He was put through the psychological equivalent of a wood chipper. As they chipped away at his spirit, he chipped away at his own body, with clumsy suicide attempts that only succeeded in creating scars. One day, he really did kill himself – or so it would seem. But what really happened to the 31-year-old Yemeni, Mohammed Al Hanashi? And why would anyone question the official version of what happened to him? What Dr. Kaye had to work with was circumstantial evidence — which is defined as “evidence that proves a fact or event by inference.” This is the most difficult kind of material to work with, for it demands logic, perception, and imagination. Excerpt from Cover-up at Guantánamo: The NCIS Investigation into the “Suicides” of Mohammed Al Hanashi and Abdul Rahman Al Amri, by Jeffrey Kaye (Publisher: Jeffrey S. Kaye, PhD, September, 2016). Chapter 4, “The only solution is death”: Al Hanashi’s Final Days. 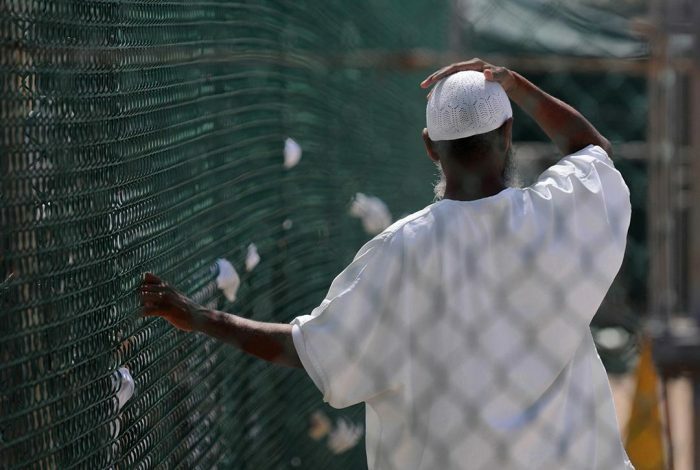 On April 1, 2009, 31-year-old Mohammed Al Hanashi sat in his hospital cell at Guantánamo writing what reads like his last will and testament. The tiny room is nearly all white. There is a sink, a toilet, and a steel door with a slot for food and medications. A light shone at all times, day and night. Probably unknown to Al Hanashi, in a grotesque coincidence, a USO tour of Guantánamo with both the 2008 winners of the Miss USA and Miss Universe contests had just visited the camp. Dayana Mendoza, the Miss Universe winner from Venezuela, caused some controversy with a blog piece about her visit. “We visited the Detainees camps and we saw the jails, where they shower, how the [sic] recreate themselves with movies, classes of art, books. It was very interesting,” Ms. Mendoza wrote. “The water in Guantánamo Bay is soooo beautiful! It was unbelievable, we were able to enjoy it for at least an hour. We went to the glass beach, and realized the name of it comes from the little pieces of broken glass from hundred of years ago. It is pretty to see all the colors shining with the sun…. How impossibly distant was the experience of detainee number 078. “In the name of Allah the merciful the compassionate!” Al Hanashi wrote in Arabic. He had been imprisoned at that point for over seven years. Some may think, well, there are literally thousands of prisoners in US prisons who have been imprisoned as long and longer, who have spent years in isolation. Such prisoners often have been seriously damaged by their experience, but the Guantánamo experience took matters even farther. 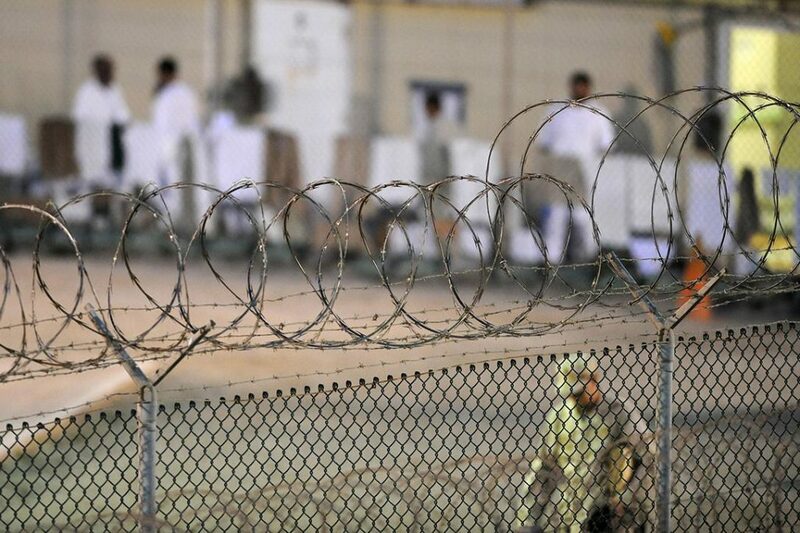 The detainee, Yemeni prisoner Mohammad Ahmed Abdullah Saleh Al Hanashi, was one of hundreds still imprisoned at the US Department of Defense “strategic interrogation” prison site at Guantánamo. He’d been on hunger strike and fed via tube for some time (we don’t know if he was forcibly fed or not, but another detainee has written that he was). Now he pondered his death, probably by suicide. Or perhaps he thought he would die from the hunger strike, or as a victim of torture. From the document, it appears Al Hanashi had considered suicide deeply, and the deprivation of prison life at Guantanámo proved too much for him. “Anyway O family, I am well aware of my situation and of my circumstances,” he wrote. “I have not come to this without having been convinced by legal scholars. According to his 2008 JTF-GTMO detainee assessment (one of hundreds released by Wikileaks), Al Hanashi was born in February 1978. He grew up in Yemen and graduated secondary school in 1995 or 1996. “After graduation… [he] worked for his father on the family farm where they raised livestock and grew watermelons, tomatoes, corn and other crops,” though the detainee assessment said he told a Yemeni delegation to Guantánamo that he used to be in the military. This was the same prison revolt and subsequent massacre by US, British and Northern Alliance forces where the so-called “American Taliban,” John Walker Lindh, was also captured and later tortured by US operatives. According to his Combatant Status Review Tribunal (CSRT) record, Al Hanashi went to Afghanistan to fight for the Taliban in early 2001. He was 23 years old. Al Hanashi told Guantánamo officials he never heard about Al Qaeda until he read media reports while on the front lines in Afghanistan. He explained that he fought against the Northern Alliance, but said he never killed anybody. After surviving Qala-i-Janghi, he was shipped off to Shabraghan Prison, where he spent the next four weeks or so recuperating in the prison hospital. Also in the hospital with Al Hanashi were victims of a transfer of Northern Alliance prisoners from Kunduz, the survivors of a purported war crime by Dostum’s forces (possibly with the knowledge or connivance of US Special Forces), as thousands of prisoners were “stuffed into closed metal shipping containers and given no food or water; many suffocated while being trucked to the prison. Other prisoners were killed when guards shot into the containers,” according to a New York Times story. Did al Hanashi talk with survivors of the Dostum mass killings? Did he hear tales of US Special Operations soldiers or officers involved? According to his JTF-GTMO detainee assessment, an area of “possible exploitation” in his ongoing incarceration was the “Uprising at Mazar-e-Sharif and detainee’s reported leadership” there. The claims about “leadership” came from the interrogation of John Walker Lindh, who supposedly told interrogators that Al Hanashi had helped negotiate the surrender of prisoners at Qala-i-Janghi. The question of the level of leadership Al Hanashi exerted was brought up both by outside observers (like the former detainee Binyam Mohamed) and, as noted in the released NCIS interviews, by Guantánamo guard and medical personnel. In addition, as we have seen, when Guantánamo officials decided to change the policies for psychiatrically hospitalized detainees, bringing them into alignment with rules for the rest of the camp, top Guantánamo officials came to the Behavioral Health Unit to discuss the situation with Al Hanashi. Some of the statements made about Al Hanashi can be taken with a grain of salt. Former Guantánamo inmate, Binyam Mohamed, who knew Al Hanashi, has said he didn’t believe the 31-year-old Yemeni force-fed hunger striker committed suicide. He told the journalist Naomi Wolf that reports that Al Hanashi was “an upbeat person with no mental problems and would never have considered suicide.” The documentary record from Guantánamo doesn’t support that conclusion. Another odd coincidence surrounding Al Hanashi’s death concerns the transfer of Ahmed Khalfan Ghailani, a “high-value” detainee, who has been at Guantánamo since September 2006, to a New York federal court, only a week after Al Hanashi was found not breathing in Guantánamo’s psych ward. Ghailani was facing charges concerning his alleged role in the 1998 bombings of US embassies in Tanzania and Kenya. But according to Al Hanashi and all other sources, Al Hanashi came to Afghanistan only in early 2001. Hence, his possible testimony at a trial in New York City, establishing that Ghailani’s admissions were false, and likely coerced by torture, may have been a hindrance to a government bent on convicting the supposed bomber. Interestingly, as Worthington points out, the other four embassy bombers were not kept in CIA black prisons or tortured, but convicted in a US court for the bombings in May 2001. Al Hanashi’s death, coming only weeks before he was, after seven long years imprisonment, to meet finally with an attorney, brings to mind the untimely death of Ibn al-Sheikh al-Libi, also at first reported as a suicide, in a prison cell in Libya in May 2009, only weeks before Al Hanashi died. Al-Libi, too, was supposed to meet soon with people from the outside, according to a report from Newsweek. Al-Libi was infamously the source of tortured information that Iraq’s Saddam Hussein was gathering weapons of mass destruction, information that Al-Libi later recanted. According to Human Rights Watch, some of their workers met Al-Libi in his prison cell on April 27, 2009, “during a research mission to Libya.” Al-Libi “refused to be interviewed, and would say nothing more than: ‘Where were you when I was being tortured in American jails”? 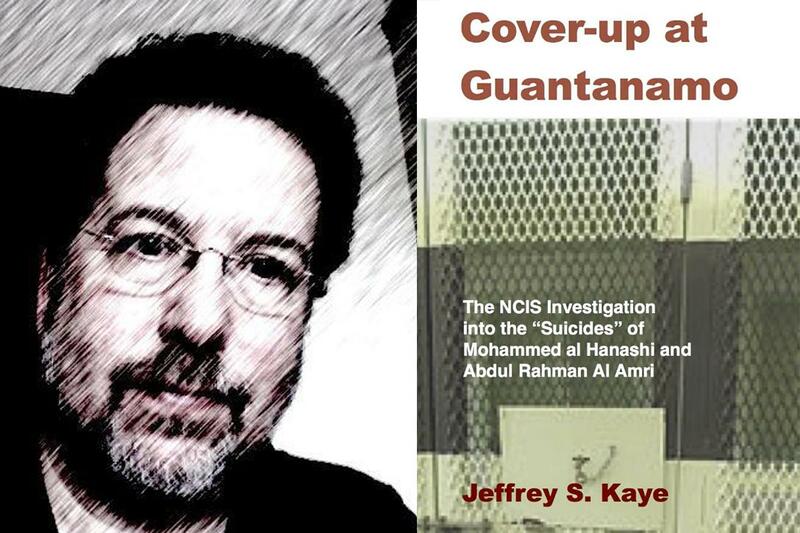 Jeffrey Kaye, author of Cover-up at Guantanamo: The NCIS Investigation into the “Suicides” of Mohammed Al Hanashi and Abdul Rahman Al Amri. As is the case with Al-Libi, the Al Hanashi death has a strange feel to it. On June 1, 2009, three months after writing out his last testament, Al Hanashi was found seemingly lifeless in his cell. He was taken to the prison hospital, where he was pronounced dead less than an hour later by Dr. Enterprise, a prison physician. (Could that be his actual name? Medical officers routinely used pseudonyms at Guantánamo.) Military authorities said Al Hanashi had committed suicide by self-strangulation. According to NCIS documents, Al Hanashi repeatedly told the Chief of Guantánamo’s Behavioral Health Unit (BHU) that he felt he was being tortured. They argued about it even on the last day of the detainee’s life. Later that day, only a little over 2 months after writing what NCIS investigators labeled Al Hanashi’s “last will and testament,” Al Hanashi wrote what appeared to be a suicide note, but he was too depressed and disheartened to even finish it. Reportedly in silence and quickly, he strangled himself to death with a piece of elastic supposedly taken from his underwear. Al Hanashi was haunted by the deaths of three prisoners, supposedly by suicide, on June 10, 2006. While there is evidence that the government’s story about those suicides has real holes — as already noted, former Guantánamo guard, Joe Hickman, wrote a book exposing the suppression of and tampering with evidence by the investigating agency — Al Hanashi told medical personnel in the Behavioral Health Unit at Guantánamo that he was supposed to die with the other three detainees on that day, too. No evidence of such a suicide list, or of pressures by other detainees on Al Hanashi to kill himself was included in the FOIA release I received in May 2015 on NCIS investigation into his death. I had made the original FOIA request in January 2012. But little did I know at the time — which was two-and-a-half years after Al Hanashi died — that, as I filed my FOIA request, the NCIS investigation was still underway. Nor did I have any idea the investigation ultimately would take three years to complete. Reading the documents that were finally released, it did not seem NCIS personnel felt much urgency about closing the case. At times, months went by and no investigative activity took place. When the investigation was finally closed on June 13, 2012, NCIS had to admit in documented form that key portions of the evidence bearing on the chronology of events surrounding Al Hanashi’s death had gone missing. As already described, someone — allegedly an investigator from NCIS itself — told Guantánamo personnel to stop entering information on Al Hanashi into a computer database, once his body was discovered. Subsequently, and we don’t know exactly when, the logs for the database the day Al Hanashi died and the following day disappeared entirely. What happened during Al Hanashi’s final weeks? How did the detainee who had made numerous suicide attempts in the previous months leading up to his death, finally come to take his life? Did he, in fact, kill himself? It is worth taking an in-depth, closer look at his death, including actions taken in the days leading up to his death by doctors, nurses and guards. But this remains a provisional narrative, as the full story is still pointedly unknown, blocked on one hand by government censorship and the failure to release all documentation. On the other hand, we do not have access to the scene of his death. We do not have access to the witnesses. They cannot be cross-examined. The key witness, Al Hanashi himself, is dead. 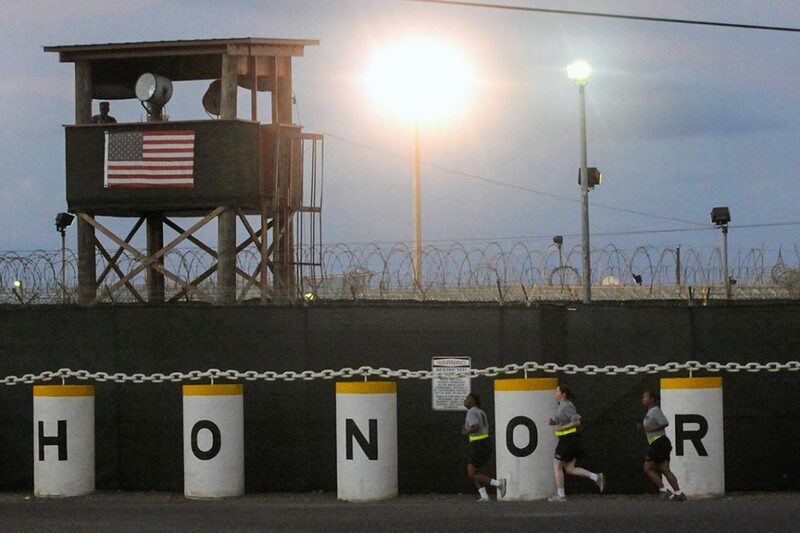 Honorbound sign at Joint Task Force Guantanamo’s Camp Delta. With all the attention of the world upon Guantánamo, the actual events inside the Cuba-based US prison are shrouded in deep mystery, sealed by classification and censorship. Hence the death of one man is barely known, much less remembered, and what happened to him even less known. For the first time in this book, the circumstances around his death are open to public scrutiny. The record, even as it remains censored in part, shows that perceived violations of trust by doctors, nurses and mental health personnel contributed, at the very least, to Al Hanashi’s decision to take his life. It is possible some person or persons – medical personnel or guards – facilitated his death, or even murdered Al Hanashi. We can only speculate. Al Hanashi had been suffering from depression and suicidal thoughts for some time. A long-time hunger striker, Al Hanashi’s weight had fluctuated dramatically over the years, as detailed above. As a reminder, according to government records, on July 22, 2006 his weight dropped under 80 pounds. Only months before he had weighed just over 140. His weight had dropped by over 60 pounds in just four months. According to his autopsy report, Al Hanashi had gone on hunger strike again in January 2009. During his last hunger strike, Al Hanashi was fed via tube. At his death, he weighed 120 lbs. A Medical Record Review by NCIS investigators stated he entered the BHU on Jan. 10 for “making suicidal ideations.” His autopsy report also noted that Al Hanashi had made five suicide attempts in the month before he died. The NCIS Medical Record Review contradicted that account, stating it was three attempts, all in the presence of prison personnel. By any account, Al Hanashi was deeply depressed and suicidal. Yet despite his history of recent suicide attempts, on the night he supposedly killed himself, Al Hanashi did not appear to be on suicide watch. For whatever reason, this guard changed his statement later to reflect the fact that guards only spent “approximately thirty few seconds to one minute” watching the prisoner. The words “thirty” and “to one minute” were crossed out, though not enough that one couldn’t see what was originally written. Another guard, who ended his roving tier patrol an hour before Al Hanashi died, told NCIS he too experienced the night as “normal.” On the other hand, he did see Al Hanashi writing something for most of the time he was on his shift. In addition, Al Hanashi did not seem “in good spirits” to this guard, but rather seemed “down.” Al Hanashi was “a little more quiet than normal.” Al Hanashi reportedly was “usually talkative.” Nearly a full page of this guard’s statement is still redacted and “under classification review” by a Command other than NCIS. An African-American Navy Airman assigned to the BHU Response Team told NCIS about earlier contact with Al Hanashi. It was mid-May, only a few weeks before Al Hanashi’s death. He was told before his shift in mid-May 2009 that Al Hanashi had made a suicide attempt earlier that day. He’d rammed his head into a fence, and then tried to hang himself with his t-shirt. Later that night, around 9:45 pm, Al Hanashi asked the guard to get him the nurse on duty. He called a corpsman, who then called the nurse. The guard observed the nurse talk with Al Hanashi for 5 or 10 minutes. She left and came back shortly with a sleeping pill (though the guard didn’t know what kind of pill it was at the time, he said). The guard watched him take it, swallowing it with water. 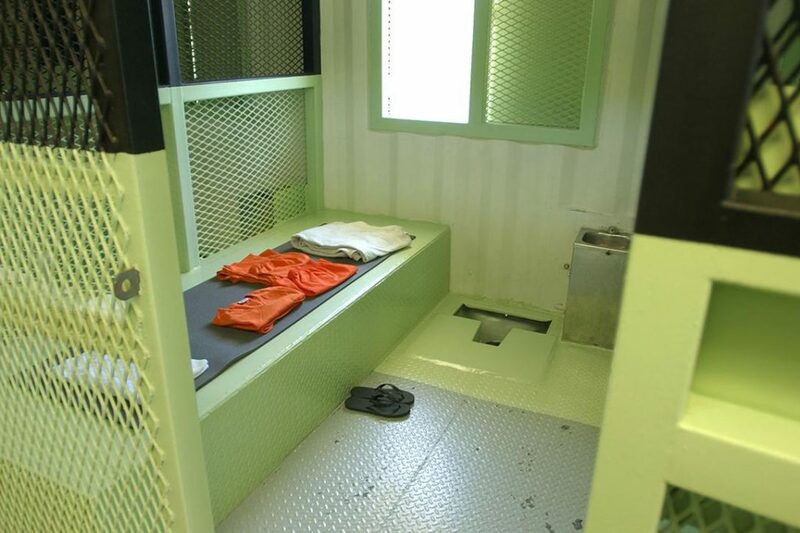 Three minutes after his last check, “at approximately 2200,” he looked inside the cell and “did not see any movement or breathing.” Al Hanashi was described as lying “in the fetal position on the floor with the top of his head against the door and his feet facing the rear of his cell.” A green blanket covered his body up to his eyes. His hair, hands and feet were sticking out. “I am not involved in [redacted, likely “078’s”] death,” the guard told NCIS, somewhat defensively it seems. Jeffrey S. Kaye is a practicing psychologist in San Francisco, California. He is the author of numerous works, including “Isolation, Sensory Deprivation, and Sensory Overload: History, Research, and Interrogation Policy, from the 1950s to the Present Day,” Guild Practitioner, Vol. 66, No. 1, Spring 2009 and “CIA declassifies new portions of Cold War-era interrogation manual,” Muckrock, April 8, 2014.